Emad is currently reading for his MBA at the Harvard Business School. He has just completed a summer of experimentation by taking a leap outside the world of marketing through working as an Associate at McKinsey & Company in San Francisco. Prior to pursuing business school, Emad worked for 8 years for Mondelez International in a variety of Brand Management and commercial roles. This included managing the Cadbury chocolate and Kenco coffee brands in the UK. Before entering the FMCG world, Emad briefly dabbled in the world of finance, and in political journalism. 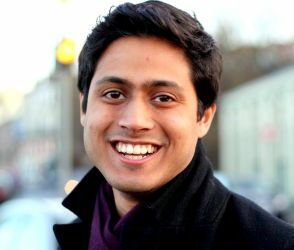 He also co-founded the Pakistan chapter of AIESEC, the world’s largest youth-driven leadership organisation. Emad is passionate about breaking down borders and pursuing a cohesive world where people from across cultures can come together to pursue common goals.